NorthStar Church is a growing contemporary, non-denominational church in Knoxville. 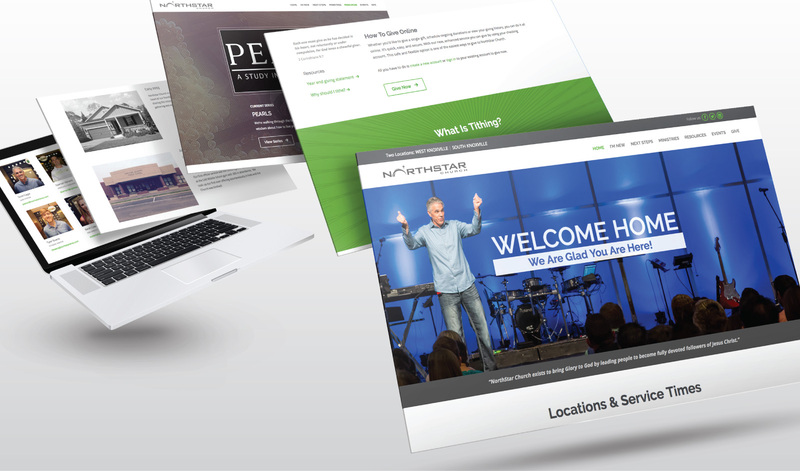 We are humbled by the fact that NorthStar hired us again nearly 4 years after designing and implementing their previous site. Keeping up with current web trends the new site is media rich yet clean and easy to navigate. Knowing that 50% of NorthStar’s traffic is mobile (like most sites these days) we designed for mobile responsiveness and full screen design side by side for every page. The result is an easy to navigate, beautiful and functional, modern design. The new events feature is designed to allow site visitors to keep up with the church’s many events and activities at both of their campuses and throughout the city.